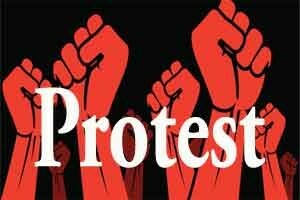 Puducherry: Demanding implementation of 7th pay panel scale implementation on their salaries, the employees of Jawaharlal Institute of Postgraduate Medical Education and Research (JIPMER) Hospital, staged a protest on Friday. The agitation was backed by the JIPMER Hospital Employees Union under the leadership of the President, S. Datchinamoorth. It was staged at the administrative building on JIPMER premises. Mr. Datchinamoorthy, in a statement to The Hindu, stated that a seven-point charter has been submitted by them to the administration of the institute. The charter included demand for immediate implementation of the Seventh Pay panel recommendations and filling up of posts in JIPMER.